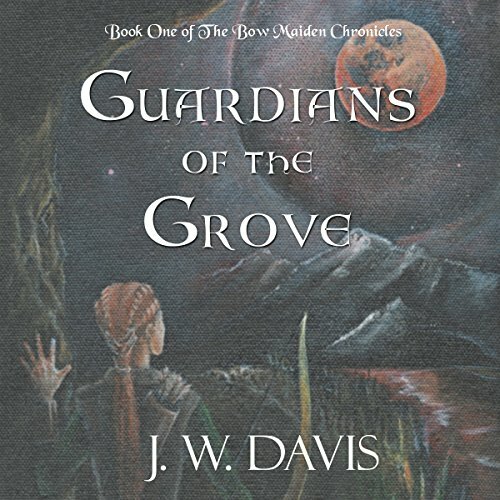 Fifteen-year-old Meeka has trained her entire life for the ranks of the Sacred Grove. When her plans go awry, she flees her home and joins the Bow Maidens, a band of lethal women warriors. As she struggles to find herself, Meeka discovers her hidden gift: an ancient magic of her ancestors. Meanwhile, the assassination of the king leaves Adrik, a young monk, next in line for the throne. To save the kingdom from the ruthless duke, Adrik must join forces with an orphaned cutpurse, an oversized monk, and a bumbling aristocrat. Adrik's survival, and that of the kingdom, depend on the alliances and friendships he forges. Fifteen-year-old Meeka has trained her entire life for the ranks of the Sacred Grove. When her plans go awry, she flees her home and joins the Bow Maidens, a band of lethal women warriors. As she struggles to find herself, Meeka discovers her hidden gift: an ancient magic of her ancestors. Meanwhile, the assassination of the king leaves Adrik, a young monk, next in line for the throne. To save the kingdom from the ruthless duke, Adrik must join forces with an orphaned cutpurse, an oversized monk, and a bumbling aristocrat.